“I hope to leave with some answers, and return to KL with some clarity and peace of mind,” I gulped as I nervously declared my intentions to the group of yogis and newbies at the beginning of a three-day Sucimurni yoga retreat in the idyllic Tanjong Jara Resort in Terengganu, the gentle sea breeze calming my nerves. It had been a tough few months—the demise of a long-term relationship and the start of a new career with more responsibilities was taking an emotional toll on me, and the cracks were starting to show. 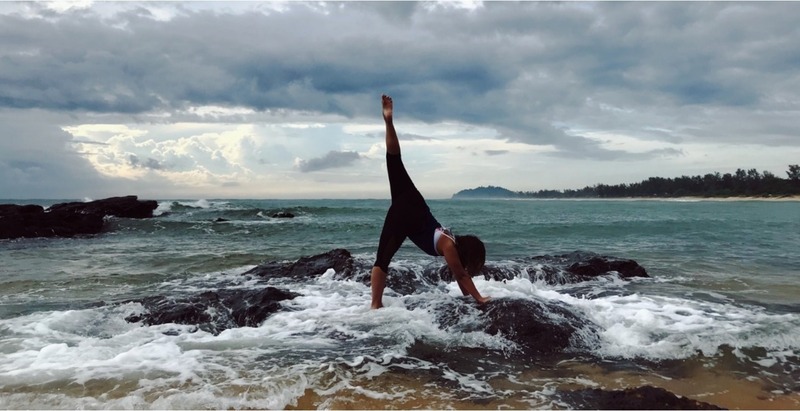 Within the first inhalation, and with yogi extraordinaire Ninie Ahmad’s gentle voice instructing us to let go of stressors holding us down and to dedicate our practice to love ourselves, my cheeks were wet—certainly a first for me. Against the backdrop of the South China Sea and the sound of waves crashing in, rhythmically mimicking the sound of my breath, it was hard not to feel a sense of calm amid the chaos in my head. Soon, I was able to settle into the practice, with the focus now switched to the stretches, and even managed a liftoff on that bakasana by the time the sun had set on the first day. 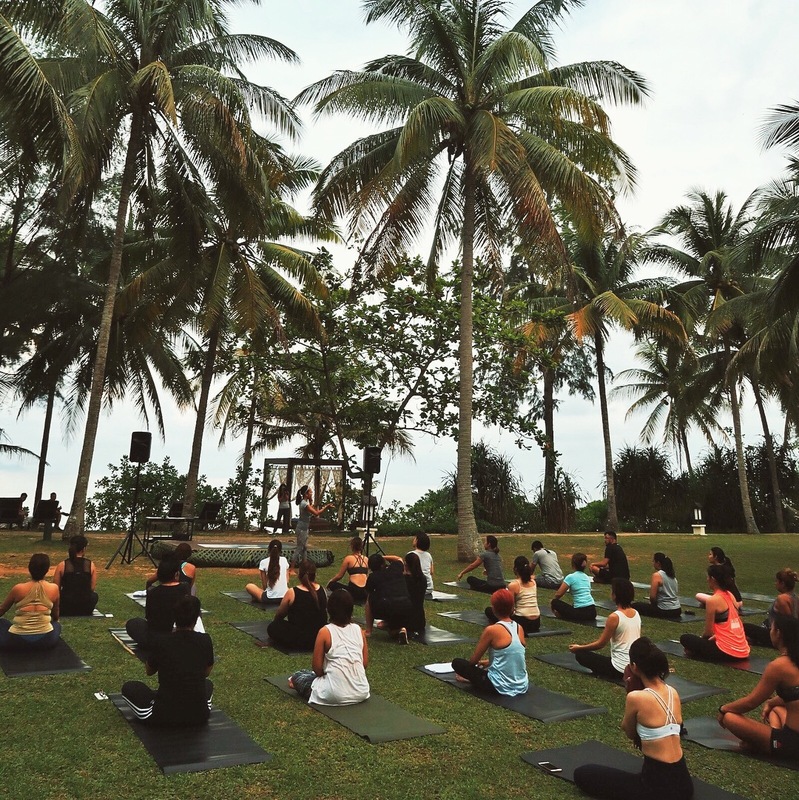 The inaugural Sucimurni retreat consisted of daily sunrise and sunset yoga sessions with Ninie, sprinkled with side activities such as zen doodling and exercises with the resort’s resident expert, Captain Mokh. We feasted on delicious East Coast cuisine at the scenic balcony of Di Atas Sungei, enjoyed beach barbecues, and had plenty of downtime. There were times having too much time alone, especially in such breathtaking surroundings, would make me frustrated for being there sans partner, but I realised I would much rather be in this beautiful haven, far removed from my everyday reality back home. It also forced me to have conversations, sometimes really difficult ones, with myself. But therein lied the beauty; I found myself getting out of my comfort zone and kept busy by venturing out in the evening to the kampung-style gathering for guests, playing traditional games and sparking conversations with the lovely women on the same retreat while indulging in a keropok lekor or two. The more I got to know them, the more I realised we were all on a personal journey; the tired mother, the busy workaholic, the strong goddess dealing with her divorce. At the last healing sunrise yoga on the beach, Ninie made us pair up in a beautiful practice that involved us supporting one another. The overwhelmingly positive energy on that last day was soul-fulfilling. Much like the Japanese art of kintsukuroi, the proverbial cracks were now filled with self-love, good energy, and new memories—and that was more than any precious metal could ever do. 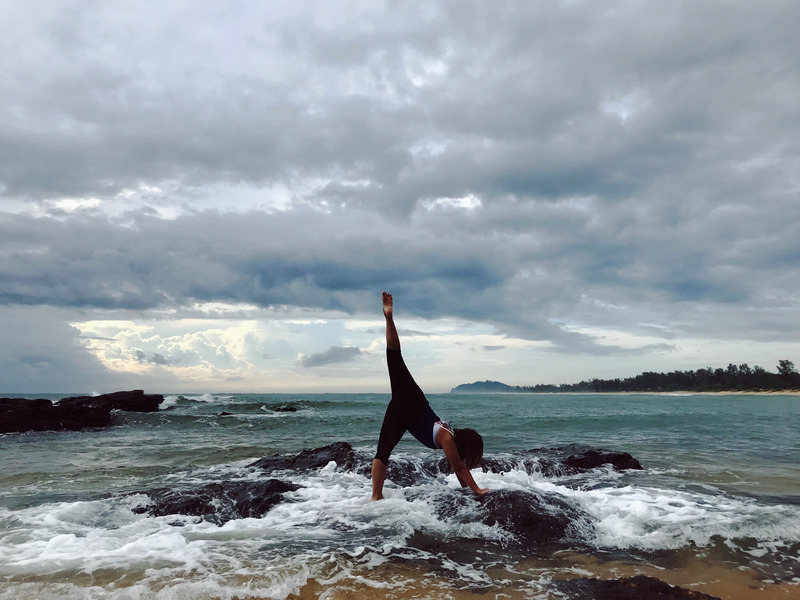 The desperation to get my answers as quickly as possible had initially clouded my practice but with each session, I found myself pushing away the noise and becoming better at focusing and simply being in the present. It was after the last session, when I still had not become clearer in my thoughts and had decided to just let go and enjoy myself (at the Spa Village, no less)—when I got my “a-ha” moment, and it was magnificent. A true testament to the adage “good things happen when you least expect them”. With that, I found myself ready to return home—spirit reenergised, and faith renewed. The bride looked stunning in blush pink silk. This all-natural remedy is a Duchess of Cambridge go-to. They’re just living their best lives in Bali, Indonesia.